Global demand for gold fell 14 percent in the first half of this year due mainly to a sharp decline in purchases by exchange traded funds, the World Gold Council said in a report on Thursday. 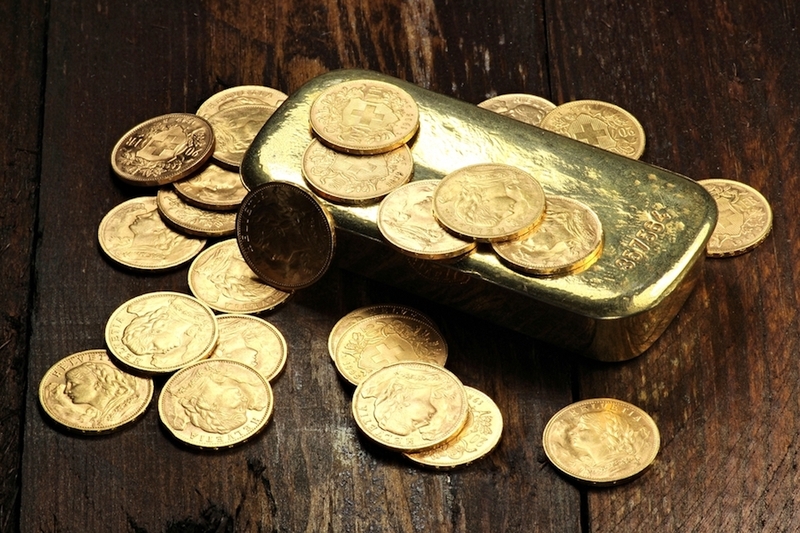 Central bank buying also fell slightly in the first half but purchases of bars, coins and jewellery grew thanks to strong demand in India and Turkey, the industry-funded WGC said in its latest Gold Demand Trends report. Gold-backed ETFs saw record inflows last year to match a 30 percent rise in gold prices between January and June. But with prices rising only around 8 percent in the same period this year, funds added only 56 tonnes in the second quarter, down 76 percent from last year, bringing first half inflows to 167.9 tonnes. European ETFs accounted for 76 percent of first half inflows taking their holdings to a record 978 tonnes. "This year demand is a little more balanced," said Alistair Hewitt, the WGC's head of market intelligence. "While we saw huge inflows into ETFs last year, the physical markets of jewellery, bars and coins slumped to multi-year lows." Total global demand for gold amounted to 2,004 tonnes in January-June, down from 2,318.7 tonnes in the same period last year. For the second quarter alone, demand was 953 tonnes, the lowest quarterly total in two years. Jewellery purchases rose 8 percent over April-June helped by a rebound in buying in India ahead of a new sales tax and in Turkey thanks to a more stable economy, but first half buying remained below 1,000 tonnes for only the fourth time since 2000. Purchases of gold bars and coins were up 13 percent in the second quarter and 11 percent in the first half as Chinese, Indian and Turkish demand increased. Central banks bought 94.5 tonnes of gold in the second quarter as Turkey joined Russia and Kazakhstan in expanding its reserves, but first half purchases were down 3 percent at 176.7 tonnes. Hewitt said he expected central banks to buy 350-450 tonnes of gold over the full year and for total annual demand to be around 4,200-4,300 tonnes. That would be slightly below last year's 4,337.5 tonnes, the highest annual level since 2013.